Does CoolSculpting Actually Remove Fat? How Does it Work? You’ve probably heard about CoolSculpting in Denver, CO recently and now you’re curious if it actually works? We’re here to address those questions and show you whether or not CoolSculpting works by looking at the process in which CoolSculpting treatments are performed. CoolSculpting is an FDA-cleared, non-surgical fat reduction treatment that uses controlled cooling to freeze away stubborn fat. 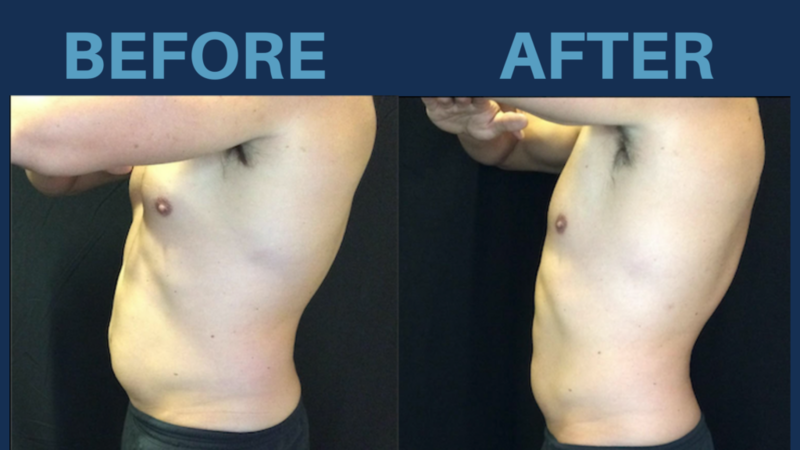 CoolSculpting can target almost any area of fat on the body that can be pinched. CoolSculpting was developed by two scientists at Harvard University after observing the process of popsicles eliminating small pockets of fat cells in children. Scientists Dieter Manstein, MD and R. Rox Anderson, MD identified that cold can target fat cells without damaging the skin or surrounding tissue which led to the development of cryolipolysis – the proven science that CoolSculpting technology was based on. 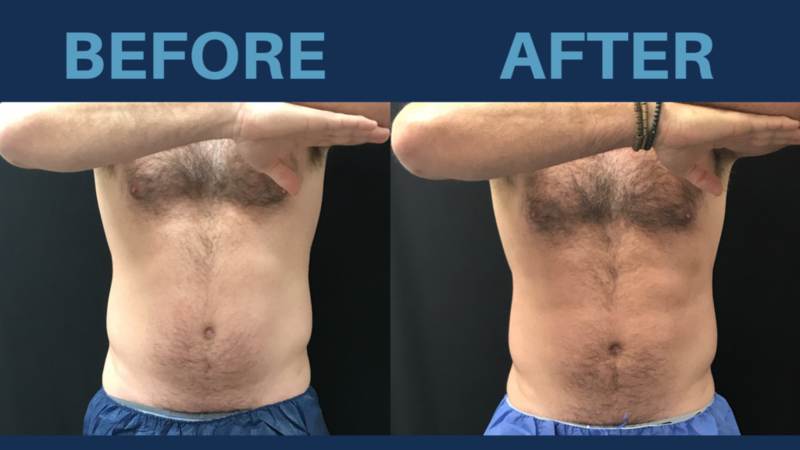 CoolSculpting freezes and eliminates stubborn fat pockets by using controlled cooling to target and kill fat cells in a specific location (flank, abdomen, chin, etc.). During this process, fat cells are crystalized/frozen which kills them. Over time, the body naturally processes the fat and eliminates the dead fat cells from the targeted area. CoolSculpting is the hands down the best fat removal treatment option for those looking to remove stubborn fat pockets without having downtime, paying excessive costs, and is for those who do not want to undergo surgery. When you get a CoolSculpting treatment, there is virtually no pain involved. You may feel a slight tingling sensation as the cooling technology is applied. In most cases, your treatment will last no more than 35 minutes and you’ll be able to return back to normal activity immediately. What Areas Can Body Massage Wellness Spa Target With CoolSculpting? CoolSculpting works for both men and women. Areas that can be target include but are not limited to the chin, arms, abdomen, flanks (love handles), inner and outer thighs, chest, upper and lower back, gluteal fold, and more. But Does CoolSculpting Actually Work? We could go on and on about the amazing benefits of CoolSculpting and give you our word that the treatments work, however, we decided to just show you the results our clients and patients all over the world have received from the 7,000,000+ CoolSculpting treatments performed. So, is CoolSculpting Right For You? 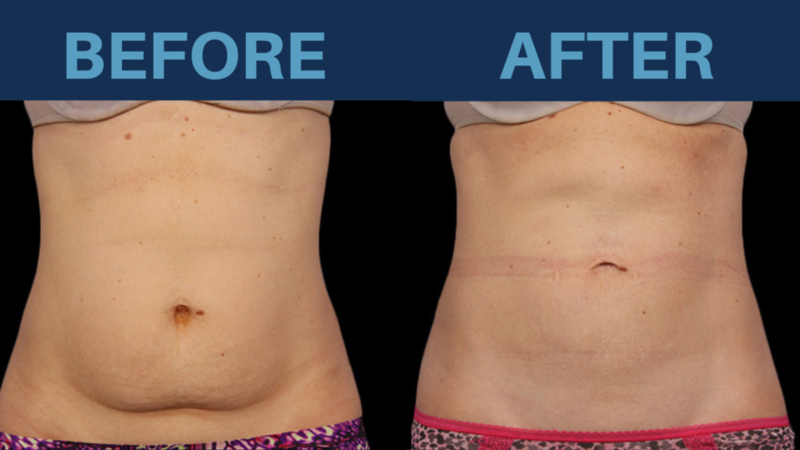 CoolSculpting treatments work on everyone, however, some people notice better results than others. 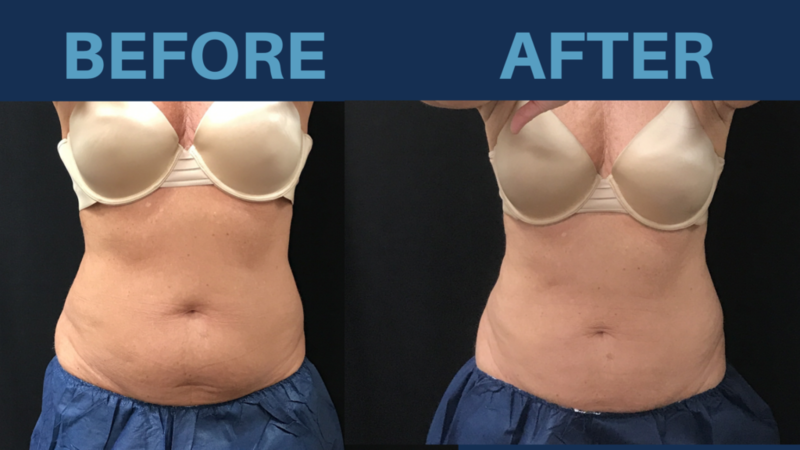 We’ve found that patients who are looking to remove the “impossible” fat pockets that cannot be lost through diet and exercise to notice the best results. However, with that said, this does not mean you won’t see great results from CoolSculpting if you DON’T diet and exercise. We recommend patients that are within 30-40 lbs of their ideal weight or less to receive optimum results from CoolSculpting treatments. This are just general guidelines for CoolSculpting treatments. If you’re curious on whether or not CoolSculpting is right for you, give us a call to schedule your FREE complimentary CoolSculpting consultation to see if CoolSculpting with benefit you and to get a customized treatment plan designed just for you. 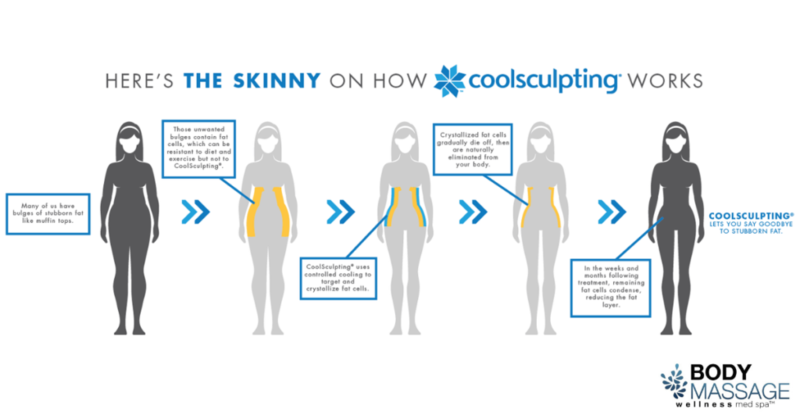 CoolSculpting pricing varies depending on your goals and treatment areas. For instance, if you have small fat pockets on your lower abdomen, your total treatment cost will be lower vs. someone with large fat pockets on their lower abdomen and would also like to address their flanks as well. Generally speaking, most patients would like to treat multiple areas so CoolSculpting treatments start around $750 and complete treatment plans (treating multiple areas) for the best results can range between $1500-$4000 depending on your unique case. Body Massage Wellness Spa also offers amazing financing options with great rates to help fund your CoolSculpting treatments. Book a FREE CoolSculpting Consultation with us to receive $500 OFF your CoolSculpting treatment plan.